We Bring a Food Fiesta! Enjoy a Spanish Food Fiesta! At your next celebration, bring in the authentic flavours of Spanish Paella and Tapas catering, prepared by world-class chefs in front of you! If you have an upcoming party or event, everyone can enjoy the Spanish atmosphere and the delicious Spanish food created by Paella Show. We offer mobile catering for any event, anywhere in or near Sydney – a wedding at Palm Beach, a 40th birthday party in Centennial Park, an end of year office party in Surry Hills, a football gala day in Bondi and much more – no access to power is required. Paella Show arrives at your function with everything you need for an exciting Paella party, including eco-friendly tableware, so you can just sit back and enjoy the Paella Show. All food is prepared and cooked on-site and all ingredients have been carefully sourced and selected, either from local producers or specially imported from Spain. This ensures that the Paella and Tapas catering is fresh, delicious and true to the authentic Spanish taste. 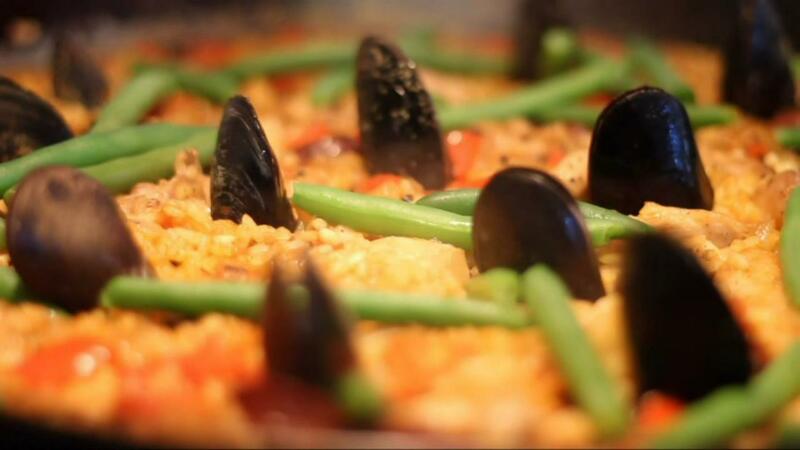 Paella Show is the perfect Spanish catering for events with 20 to 200 people. After the meal, we’ll also take care of the cleaning up so you and your guests can carry on with the celebration! Paella Show has established a large following in and around Sydney with its renowned chefs, five star catering and festive spirit. 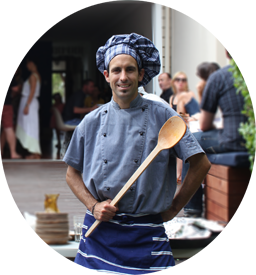 Paella Show’s Founder and Head Chef, Jon Ingunza, was originally from the famous culinary hot-spot in Spain, Basque Country. "they make paella almost every day"
Because you want to know everything. See our How it works page for more details and information. Inviting more than 90 guests? You and a friend can try a sample selection of Paella Show’s Paella and Tapas! We can arrange a convenient free tasting session before the event. Paella Show will travel to almost any venue up to 100km from Sydney City. Ask us for other locations.